Home » We Now Have Two Locations To Better Serve You! 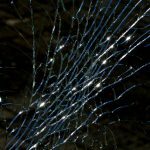 Bone Auto Glass is so anxious to help you with your auto glass needs we have two locations to serve you! If you’re in the St. Louis area, you can visit us at 5821 Hampton Avenue right in St. Louis, on the corner of Hampton Avenue and Rhodes Avenue. 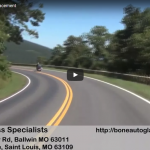 You can reach us by phone at that location by calling (314) 398-8270. Our West County location is situated at 15479 Manchester Road in Ballwin, between Mimosa Lane and Hillsdale Drive. Our phone number there is (314) 544-3445. Speedy service, because we know getting back on the road as quickly as possible is a priority for you and we want to help get you there. The best quality OEM parts with perfect installation and repairs every time. These are the only parts we use, so there’s no chance of getting anything less. Acceptance of all insurance, and we’ll work with them directly so you don’t have to. 15 years of experience from a family owned company. Full window replacements for cars, trucks, SUV’s, RV’s or 18-Wheeler’s. A fully licensed and insured crew that will come to YOU with all the tools necessary to do the job where ever you are. We offer same day service as well as a lifetime warranty for all replacements. In addition to these great services and perks, we also fix water leaks and air seepage. Go ahead and contact us today and be sure to ask about the money you save as well as our free quote.